The man behind last week’s deadline headlines tells us how he did it. Amid the craziest trade deadline week for any team this year — and one of the craziest for any team, ever — Alex Anthopoulos can pinpoint the one moment when he nearly lost his nerve. 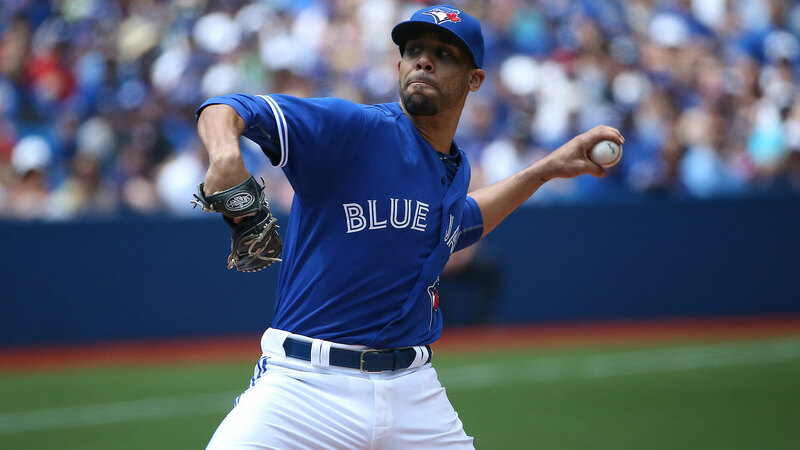 Thanks to the team’s league-best offense and shaky rotation, the Blue Jays general manager had been lusting over Tigers ace David Price for over a year. A little more than a week before the deadline, Tigers GM Dave Dombrowski had told Anthopoulos and other suitors that he needed more time to decide whether or not his team could still make a run at the playoffs. Deadline day wrap: Yo to the Mets! All of our trade deadline coverage! Then early Wednesday evening, less than 48 hours before the non-waiver deadline, Dombrowski called Anthopoulos. The Tigers were going to move Price. The two GMs talked deep into the night, and at 3 a.m. they finally hashed out a deal. The Tigers got pitching prospects Daniel Norris, Matt Boyd, and Jairo Labourt. The Jays got one of the 10 best pitchers on the planet. 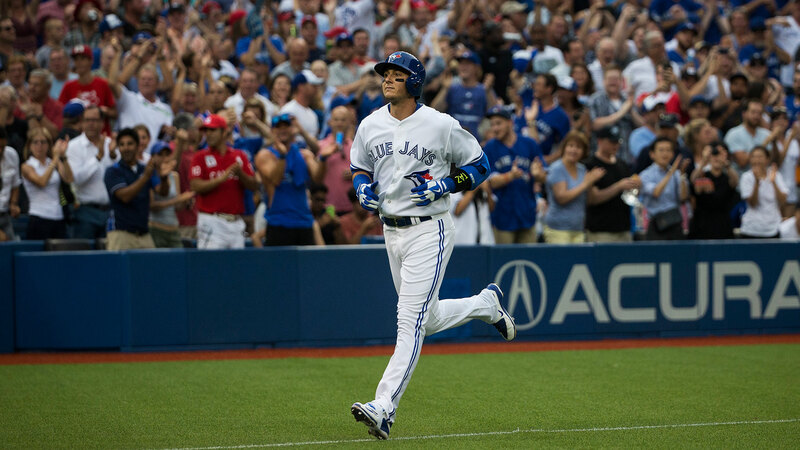 The next day, they landed Lowe and Ben Revere to cap off a 72-hour run that also included the acquisitions of Troy Tulowitzki and LaTroy Hawkins. But Price, well, he was the emotional high point. Like the rest of the baseball world, Anthopoulos knew that new Rockies GM Jeff Bridich would consider trading Tulowitzki. Tulo was guaranteed $118 million through the end of his 10-year contract, he was 30 years old, and the Rockies badly needed to add young pitching in order to accelerate their rebuilding efforts. Still, it wouldn’t be cheap. Despite Tulo coming off an injury-plagued season in which he played only 91 games, Bridich made it clear to Anthopoulos last winter that he valued his franchise player as the best shortstop in baseball and had no plans to sell low on him. 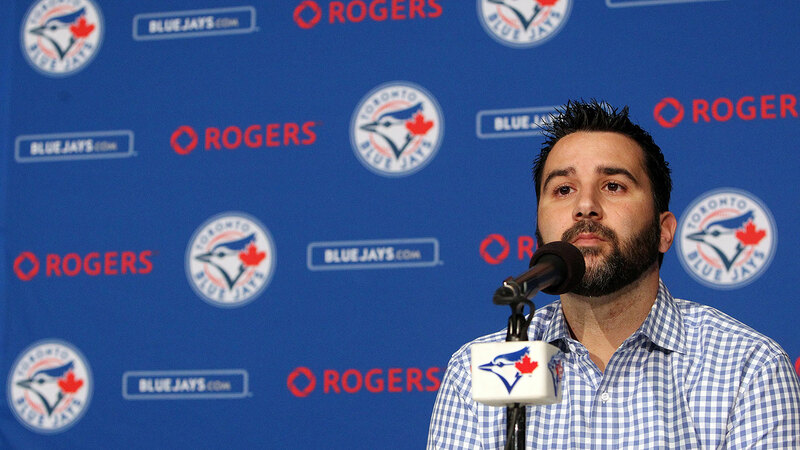 He repeated that claim each time Anthopoulos tried to reignite trade talks over the next few months. Considering the team’s dearth of pitching and wealth of offense, zeroing in on another big bat might have seemed misguided. It certainly did to some people in the Toronto front office. Tulo had been on Anthopoulos’s mind for more than a decade, dating back to when he worked as a Jays scouting director in 2005. He and (now-assistant GM) Andrew Tinnish went to scout the shortstop when he was starring for Long Beach State. The Jays ended up drafting Ricky Romero one spot before the Rockies took Tulo. Both men then watched from a distance as that five-tool kid blossomed into an elite talent. A decade later, they wanted him badly. Anthopoulos checked in with Bridich in May. At that point, the Rockies GM said he’d be open to taking Jose Reyes back in the deal if Colorado could nab a few of Toronto’s many quality pitching prospects. Talks continued for a few weeks, and once the All-Star break ended, concrete trade proposals and counterproposals began to form. Finally, on July 28, the two sides agreed to the deal that shocked the baseball world. In addition to Reyes, the Rockies landed top pitching prospect Jeff Hoffman and two other talented young arms, Miguel Castro and Jesus Tinoco. The Jays got Hawkins and their white whale. For as much of a net positive as Tulowitzki might be for the Jays, the question still remained: Yeah, but what about pitching? If anything, the Tulo deal left some of Toronto’s baseball ops people and outside observers wondering if the Jays would have enough in the cupboard to answer that question. A source close to the Jays said they dangled much of that remaining “prospect capital” on pitchers with multiple years of controllable service time — specifically strikeout fiend Carlos Carrasco and his incredibly team-friendly contract and Tyson Ross and his gigantic ground ball rate. Toronto got close to finalizing a Carrasco deal before talks fell apart, according to the source. A deal for Ross never materialized, because the Padres decided they wanted push for the postseason, despite being 7.5 games out of the wild-card race. When Johnny Cueto and Scott Kazmir got dealt to other teams, the White Sox curiously decided to hold onto Jeff Samardzija, and stabs at Ross and Carrasco failed, the supply of impactful starting pitchers suddenly started to look thin. According to the source, the Jays also inquired about Cole Hamels — over the winter, during spring training, before the All-Star break, and again 10 days before the deadline. Each time, they were told that Hamels wouldn’t waive his no-trade clause to come to Toronto. In addition to the scarcity of available arms, the parity caused by the second wild-card spot — meaning more teams can consider themselves in playoff contention — made the arrival of a quality starter look less and less likely. But a week before the deadline, Anthopoulos had tentatively reached out to Dombrowski about Price. Anthopoulos is a Montreal native and as a kid idolized the Expos GM at the time: Dombrowski. When a teenage Anthopoulos met Dombrowski in the scout seats at Olympic Stadium, he went nuts. Anthopoulos came into deadline week (and this season) with questions swirling around his job status. That’s a reasonable outcome for a GM in his sixth season at the helm, 18 games under .500 in his first five years on the job, and still seeking his first playoff berth. Self-preservation is a natural instinct, and mortgaging chunks of your future in pursuit of present goals can come with that instinct.2 With Paul Beeston stepping down as team president at the end of this season, speculation has increased over whether Beeston’s replacement might want to bring in his own guy to serve as the team’s GM. One of the names floated as a possible Beeston replacement? Dave Dombrowski. In the Lowe and Revere deals, Toronto traded five more young pitchers: Rob Rasmussen, Nick Wells, Jake Brentz, Jimmy Cordero, and Alberto Tirado. Anthopoulos, though, said that questions over his job status didn’t influence his decision to be so aggressive at the deadline. So far, the immediate epilogue to all those deals has been pretty sweet. They’re 5.5 games back of the Yankees in the AL East and have already pulled even with the Twins and Orioles for the second wild-card spot.3 Before yesterday’s win over Minnesota in Price’s debut, the Jays took three out of four from the first-place Royals over the weekend. They capped the series with an emotional 5-2 win on Sunday that included repeated brushback pitches on both sides, ejections, a near-brawl, a sellout crowd of 45,736, and plenty of baseball fans hoping these teams meet again in the playoffs. FanGraphs puts their playoff odds north of 60 percent now. Thanks to an unforgettable and nearly sleepless week, the Jays are suddenly one of the most exciting and dangerous teams in baseball. If everything goes according to plan, that’ll be enough to get them and their capacity crowds into October.